He has said he does not even know when the pair will be back although while Pogba remains in Florida for rehabilitation, veteran Ibrahimovic is now back with United’s medical staff in Manchester and has posted social media pictures of his recovery. “Paul is not here. I don’t know when he comes back, when he’s available, I’ve no idea,” said Mourinho. “Zlatan is here, he’s working here, under our control, he’s working so, so, so, so hard but he’s not to be back in the next week or couple of weeks. Let him take his time and be back when everyone feels is the right moment. Mourinho’s position on injuries has been at the centre of attention this week after he insisted that he does not “cry” over absent players while accusing rival managers of doing precisely that. By the end of the week, however, Mourinho was more conciliatory in explaining his position at his weekly press conference at United’s training ground. “Everybody knows every manager wants to have all the players available, it’s just then a question of the way you position yourself in relation to that, the best way you think is to do it,” he said. “Yes, is true I wanted four players in the summer and I think clearly everybody knows the position, maybe you know the player, didn’t happen but we adapt to it and try the best we can,” he said. “But what I expect from a normal season is Zlatan will be back and Marcos will be back, and Pogba and Fellaini will be back and someone will get injured,” he added. Email “Zlatan could be back this year, says Mourinho”. 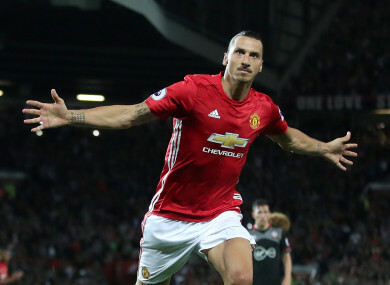 Feedback on “Zlatan could be back this year, says Mourinho”.